Traveling on a gluten free diet can be difficult at times but it’s not impossible, especially in places like Antigua, Guatemala. With the help of this guide, celiacs and non-celiacs can continue to maintain their gluten free diet while exploring Antigua. Insider Tip: Explore more destinations around the world with our new ebook “100% Dedicated Gluten- Free Restaurants Around the World” and eat at over 1000 restaurants worry-free regardless of where you are in the world. Though I am diagnosed with Celiac Disease, I try not to let my severe allergy to gluten limit me to just eating packaged gluten free products from my suitcase. Everywhere I go, if possible, I eat local dishes from local restaurants, or from street food stalls. 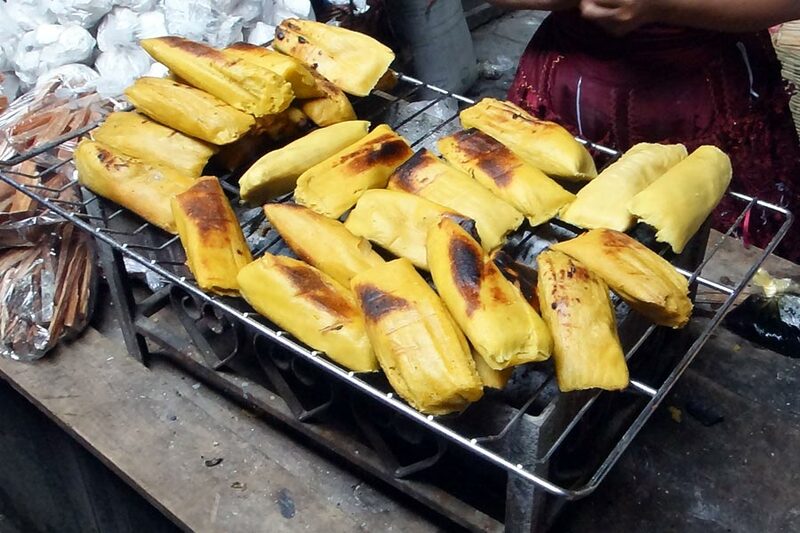 Fortunately, Guatemala’s main crop is corn, and many dishes and street foods are made from corn flour rather than wheat flour making traveling with Celiac a little easier than in other countries. However, with globalization and an increase in consumption of processed food you can never be too careful or put your guard down. Through trial and error I was able to discover some tricks and tips to help you limit the chance of being glutened. Here are some of my tips for traveling with Celiac Disease in Antigua Guatemala. Look for local restaurants that have a simple menu with only a few meal options as the chance of cross contamination is slimmer. I tend to avoid places where the menus contain food like pasta, breaded chicken, sandwiches, hamburgers, etc. Instead I tend to look for grill spots that sell meats seasoned with only herbs, pepper and salt, without any special sauces I have to worry about. Those meals usually come with rice, beans, and tortillas. Simple but filling … and safer. Once I find a place that doesn’t cause a gluten reaction, I tend to keep going back there! I am a loyal costumer when they treat my stomach well. There are times when I would slip up and forget to ask what the meal comes with only to be surprised with a side of bread or spaghetti on my plate. Though most places in Antigua serve tortillas as a side, just make sure to ask anyway. Better safe than sorry. Also, be wary of appetizer soups because often they contain fideos (noodles) and/or are made with pre-packaged seasonings such as Malher or Sasson which contain wheat. After the waiter serves your food double check with him to make sure the food does indeed not contain any gluten products before digging in. Unfortunately, not many people abroad know what contains wheat and what doesn’t so it is best you do your own research before heading to a new country. However, it is still helpful to know a few gluten related Spanish phrases and the ones listed below are the ones I tend to use the most. In addition to knowing the below phrases you might also want to print out a Spanish Gluten Free Restaurant Card that you can show to your waiter or cook for better understanding. Me enfermo si yo como todo lo que tiene … en eso. – I get sick if I eat anything that has … in it. Usas paquetes de sazon como Mahler y Sasson para cocinar la comida? – Do you use season (flavor) packets like Malher or Sasson to cook your food? Con que viene? – What does it come with ? After browsing through the supermarket, I realized that they sell a lot of packaged seasonings (Malher is the most popular brand). Out of curiosity, I checked the ingredients and found that most of them contain wheat or may have traces of wheat. Always ask cooks if they use seasoning packets for their food before ordering anything. 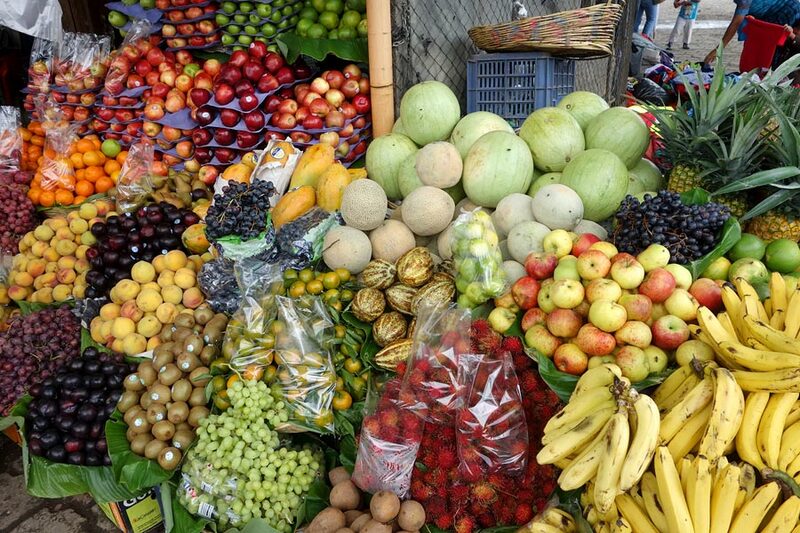 Antigua’s Municipal Market has such a wide variety of fruits, vegetables, and other snacks that can be munched on without fear of getting glutened. So stock up and if you have a kitchen, make a meal or two at home to limit the chances of being glutened by eating out. There aren’t many dishes in Antigua Guatemala that Celiacs can’t eat as most are naturally gluten free, but the problem is the possibility of cross contamination. Pay attention to what other dishes are being sold in the restaurant or at the street vendor of your choosing. Pepian, Hilachas, Caldo de Res, Jocon, and Revolcado – These traditional soups are naturally gluten-free when they are prepared the traditional way. However, some places might use packaged seasonings to boost the flavor of their soups. Make sure to ask before ordering. Tortillas – They are always made from corn flour in Guatemala, unless they specifically advertise Tortillas de Harina (Flour Tortillas). 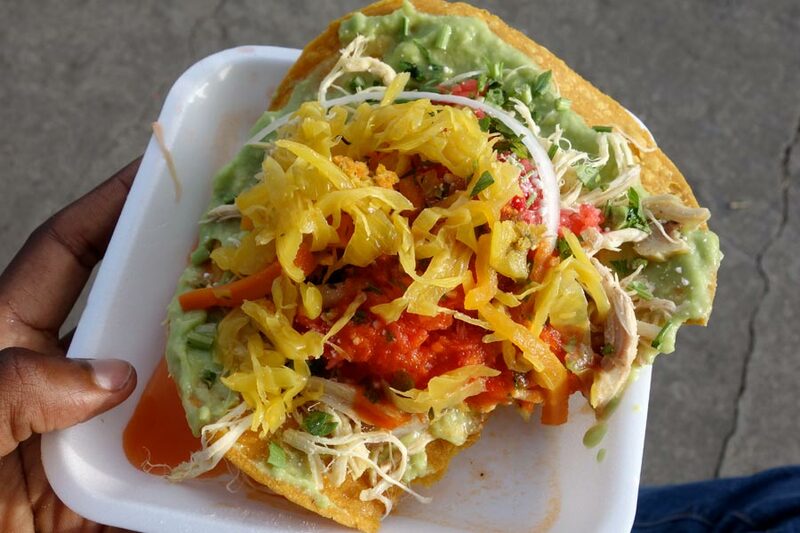 This list contains traditional Guatemalan food Celiacs will want to stay away from but just because something is not on this list does not mean you can eat it. Below are a list of restaurants in Antigua that offer gluten-free options on their menu and consider themselves gluten-free friendly. However, all meals are prepared in the same kitchen as meals containing gluten so, there is always the possibility of cross contamination. This health conscious restaurant offers vegan, vegetarian and gluten-free options. In our opinion this restaurant has the most diverse range of gluten-free options and they constantly add more GF dishes to their menu. The owner of this restaurant actually has celiac so he offers a wide variety of gluten free options on his menu from gluten free pizza, to gluten free sandwiches. 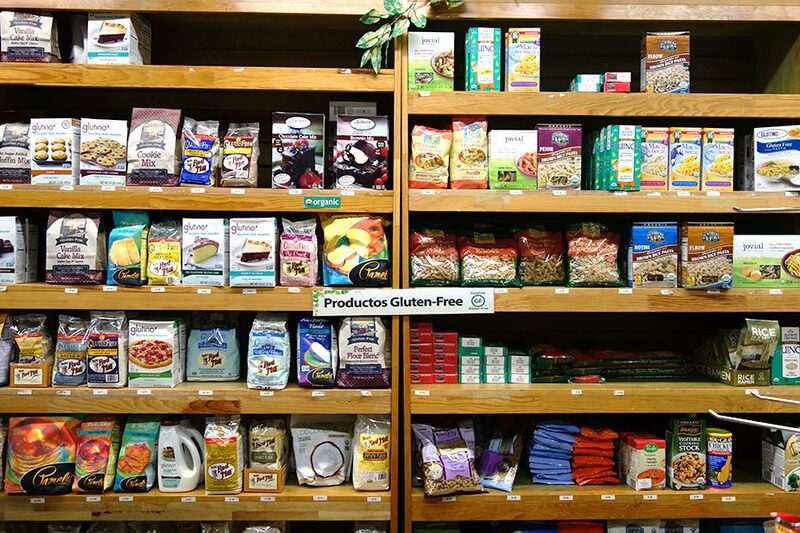 The restaurant’s store also sells imported gluten free products. So not only can you have lunch and dinner there but also shop for gluten free snacks and more. This Cafe has a gluten free crepes, pancakes, homemade cake and granola options on their menu. Offers a few gluten free and organic oriental dishes. This small local restaurant has a basic menu with different options of grilled meat (fish, pork chops, chicken, etc.) served with a grilled piece of corn, grilled potatoes, salad, tortillas and frijoles. Everything on the menu is naturally gluten free except the Longanizas/Chorizos (Sausages) which might have wheat as a filler. I was a regular visitors of this restaurant as the owner knows about me being allergic to wheat. She reassured me that all her traditional soups are natural and authentic. 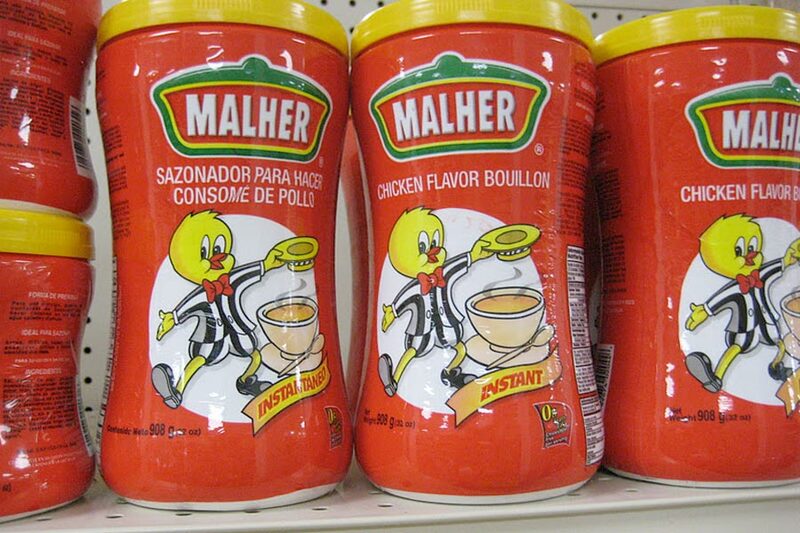 Only the soup you get as an appetizer contains Malher (prepackaged seasoning mentioned earlier). Otherwise the simple menu of 5 or 6 meals has pretty much nothing that can cause cross contamination. This bakery sells gluten free banana bread and cookies which are labeled as “sin gluten”. However, as far as I know both gluten and gluten-free products are made in the same facility. Not recommend for people with severe intolerance to gluten. This newly started bakery is owned and operated by Marlene, a Guatemalan Celiac who bakes all her goods in her own kitchen. 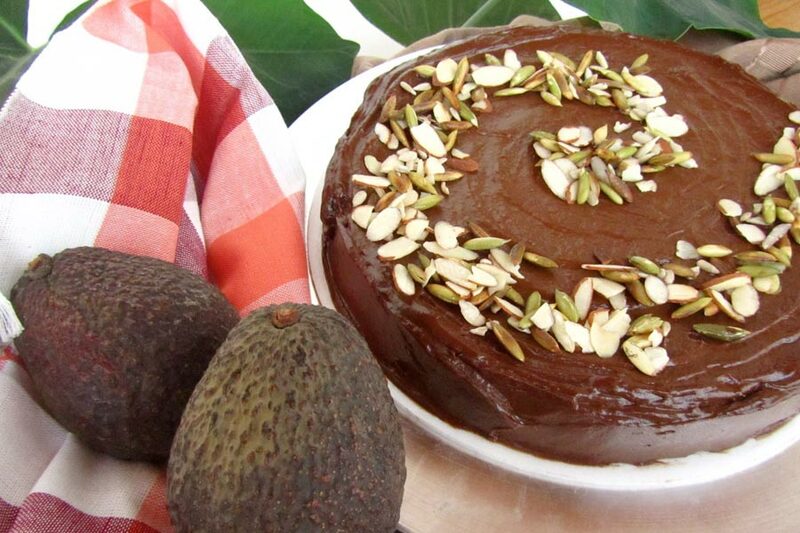 Marlene sells gluten free products such as yucca and potato bread, pizza crust, zucchini-chocolate loaf, fudge brownies, carrot-coconut loaf, and our favorite, banana-papaya-chocolate loaf which are made to order. Though Antonina’s Alternative Bakery does not have a storefront yet, many of her products can be found in stores and restaurants around Antigua. You can also order any of her GF goodies by contacting her via Facebook or by calling her at +502-5950-1192. This hidden gem sells probably one of the tastiest Mayan chocolates in Guatemala and best of all they are all gluten free. The owner does not use any products that contain wheat in his store so you don’t have to worry about cross contamination like with some of the other places who like to offer chocolate with cookie crumbs, granola or other gluten containing products. The following stores sell local and imported gluten-free products, such as pasta, cookies, bread, and more. Hopefully you find this guide helpful and remember to be cautious and ask as many questions as you want because your health is non-negotiable. Not to mention you are paying them, the least they can do is answer a few simple questions. 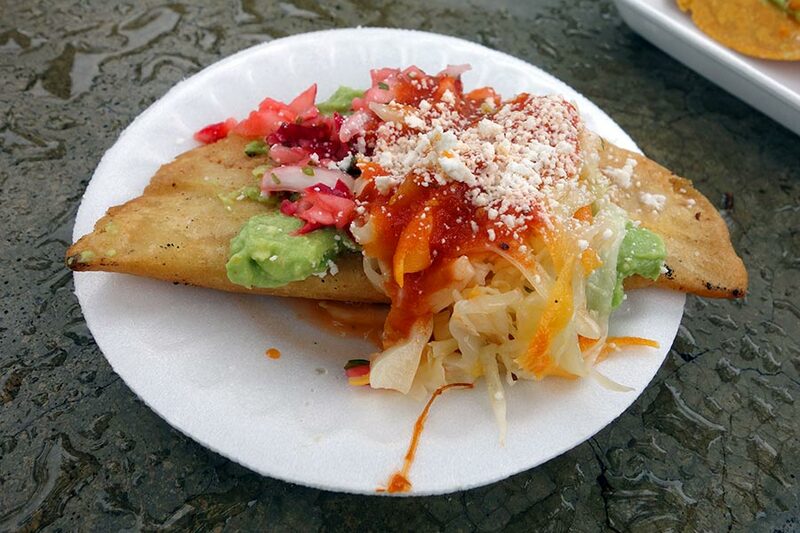 So have fun in Antigua and taste some of Guatemala’s exquisite cuisines. Buen Provecho! Thank you so much this is very helpfull! Great review, it helped me today. i went to Antigua with my kids to spend the day with some of the addresses in my cel. We couldnt find Fernando’s Kaffee, and at El Porton the nice lady didnt know anything about gluten so i was afraid to try the meal. Epicure looks fine, kind of expensive, in comparison with the other one, but really nice place. Thx again for the info.